He said that the team would be investing in quality players during the transfer window as he feels that they need more quality than quantity. He believes that there is a good foundation and that he will need to build on that. He said that it is very likely that he will be keeping the same system with three at the back next season as he feels that the players have become quite accustomed to it. It will all depend on the players that will be coming in the transfer window as well as the players that might be leaving. The French manager said that he has no intention of selling Alexis Sanchez and Mesut Ozil and that he will risk losing them on a free transfer rather than sell them. He said that they are important members of the team and that they will be helpful in helping the team challenge for the title. 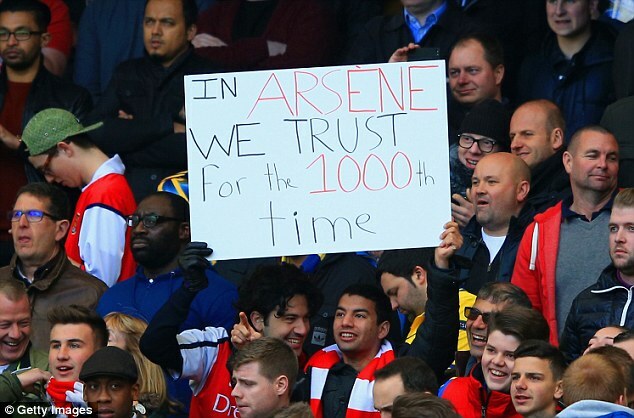 Arsene Wenger has asked the fans to get behind the team and support them especially when they are playing at home.